For a minute there it looked as though Nick 13 was going to place Tiger Army in its grave. After Music From Regions Beyond came out and the band did a tour behind it, that’s all we heard from them for a while. Nick released an impressive solo record in the first wave country vein, but aside from their annual Octoberflame show, Tiger Army went dark. The album starts off, as all their albums have, with an instrumental prelude. A minute long rallying cry to amp up the listener in anticipation of what’s to come. Its fun and slides nicely into the first proper track ‘Firefall’. ‘Firefall’ is a pretty straightforward psychobilly track and features all the things that make Tiger Army what it is: catchy, fast, smooth. With one exception: there is a woman (or man) in the background with jaw dropping vocal capabilities, providing atmospheric soprano throughout this song and most of the other songs on this album as well. ‘Prisoner of the Night’ is a nice toe tapper with some beautiful piano plunking away in concert with Nick’s impressive voice and James Meza’s solid drumming. ‘I Am the Moth’ is a little different. It’s a chugging, galloping rhythm that sounds like a steam train on a ghost track to hell. It’s a great song. One of the best on the album. ‘World Without the Moon’ takes advantage of some organ-like keyboarding to make its point, a little too enthusiastically at times. ‘Dark and Lonely Night’ and ‘Happier Times’ are both slow moving confessionals that would’ve sounded right at home on Nick 13’s solo album. ‘Devil Lurks on the Droad’ is a fun, fast and dirty little tune very much in the psychobilly Tiger Army vein of past. The album’s final few tracks are definitely less impressive than its first few. The album loses a little steam here and the more mediocre sounding ‘Candy Ghosts’, ‘When The Tide Comes In’ and ‘Train To Eternity’ become the album’s first skippable moments. Thankfully, the album’s closer ‘In the Morning Light’ is an amazing, ethereal track that seems to float away as it moves along. It’s the perfect ‘let the credits roll’ track and a nice way to cap off a mostly impressive album. Reminds me of ‘End of the Weak’ from the last Swingin’ Utters album ‘Fistful of Hollow’. 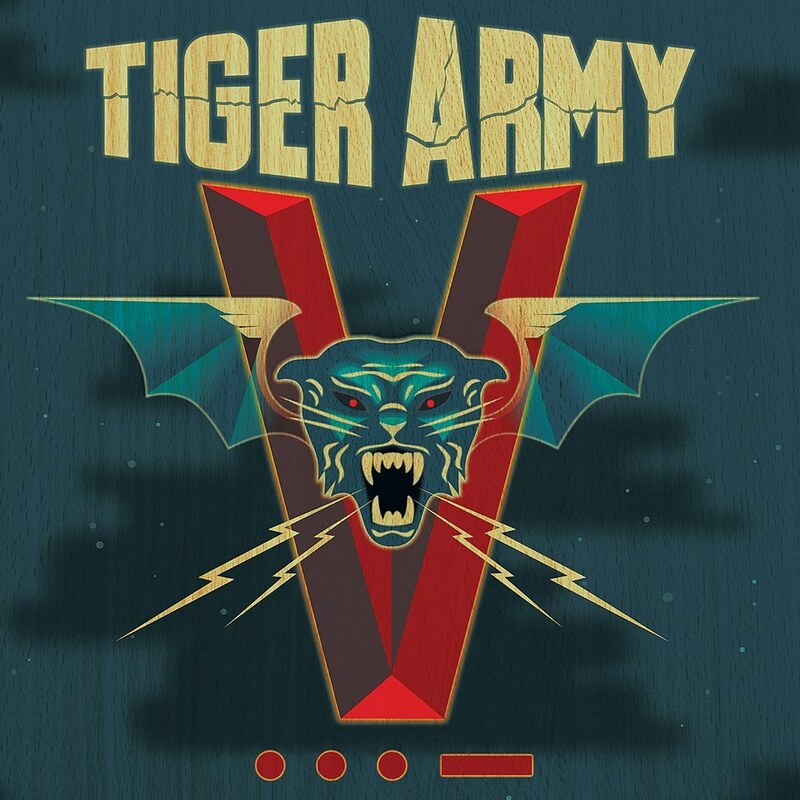 I’m a big Tiger Army fan, so despite the fact that I don’t like this album as much as their last couple, any new Tiger Army record is a cause for celebration. And what better way to celebrate than to catch them on one of their western Canadian tour stops at the end of the month. They’ll be at the Commodore in Vancouver on June 24th.